Get notified when Jacksonville Jaguars tickets are available! The Jacksonville Jaguars are a professional American football franchise that is based in Jacksonville, Florida. The Jacksonville Jaguars are a part of the National Football League. The home games of the Jaguars are played in Jacksonville at the EverBank Field, which can accommodate 67,246 fans. Since their creation, the Jaguars have won both the 1998 and 1999 division championships and they have qualified for the playoffs six different times. 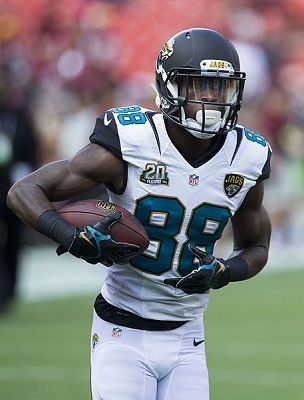 If you are a Jaguars fan and would love the chance to witness a live game, use the links below to find Jacksonville Jaguars tickets and game dates, both home and away.